Ooh those are beautiful cards! Even thank you card is lovely. And those cards are gorgeous! 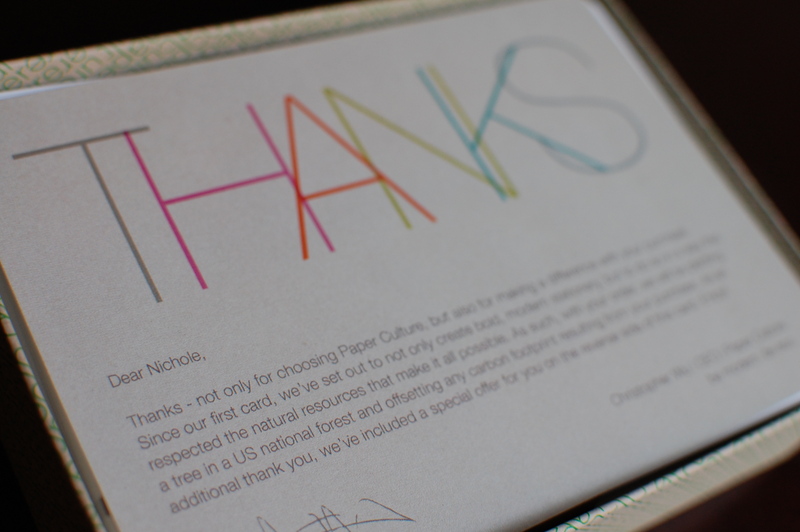 I love pretty notecards; I will keep Paper Culture in mind the next time I order something. I LOVED that booth! Even though BlogHer helped me decide I don't want to work with brands so much, that Christopher impressed me too. I am glad you were able to get the hook up there and promote them a bit! Oh, I may order some as Christmas gifts! I love them. Oh, and you certainly DID bring the funny! Very lovely! I love getting ANYTHING in the mail but would be extra excited about this paper! 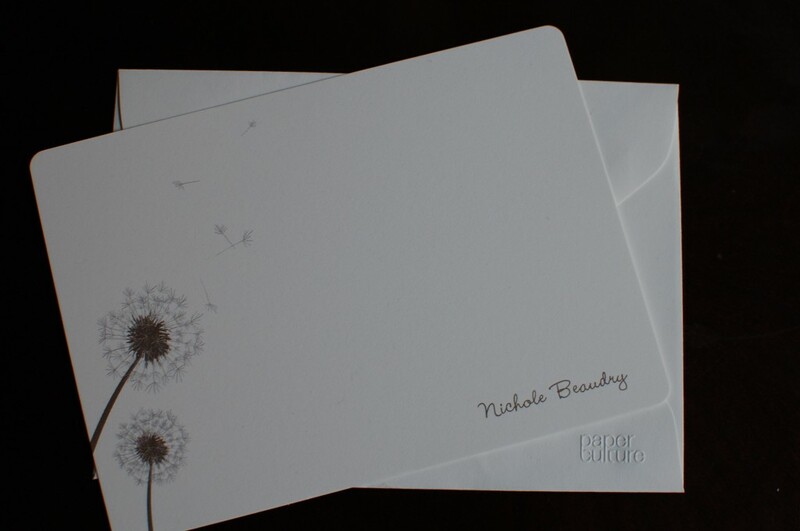 Nichole – it was really great meeting you (and Katie) @BlogHer – and the kind words are making us blush – thanks. You know we appreciate it! Hope everyone has a great holiday season and please don't hesitate to contact me directly if I can help out in any way.